Top schooling? Tick. Comparatively, far better value properties? Tick. Urban lifestyle in country setting? Tick. Choosing to live in the Upper Highway, has long been a decision taken by those for whom top quality schooling is a priority. For some parents, these schools are part of their personal histories, and they and even their parents and grandparents attended them way back when. Private schools like St. Mary’s Diocesan School for Girls, Thomas More College, Kearney College and Highbury Prep, have long traditions of excellence. But it’s not just the private schools – the local government schools in Kloof and Hillcrest have well-established reputations for both academics and sports. Education may be a primary driver for Upper Highway living, but today, although still key, other elements are pushing to the fore. Property, and the value found in the Upper Highway cluster of suburbs, is impossible to beat in any other upmarket region. Flick open the newspaper’s property section, and do a comparison between suburbs – you get more room for your rand here. No arguments. And perish elitist thoughts. Yes, the region is well-known for its exquisite, affluent homes on large plots, but the Upper Highway has moved with the times. Today, there’s a wide range of property types, from affordable sectional title units, to wide-open gated, golf and equestrian estates…they’re all there. Immaculate and well-run little simplex and duplex complexes, at surprisingly affordable prices from R1,6m, in very good, easily accessible locations, ideal for couples and young families. No finer way to enter the Upper Highway property market, and enjoy raising a family in this unique green belt. A decade or two ago, most residents of the Upper Highway worked elsewhere. Today, although some do head to the business hubs of Westville, Umhlanga or west to Camperdown and Cato Ridge, many work in the Upper Highway suburbs in which they live. Take a drive through today’s Kloof and Hillcrest – it’s another world, where old homes have been renovated to house commercial and professional enterprises, old streets have been rezoned commercial, and brand new stylish office blocks are putting down roots. A number of familiar and prestigious brand names are appearing on the signage – they’ve either chosen to relocate here, or to conduct business in the Upper Highway over elsewhere. With fuel prices rocketing, homeowners want to live, work, play – and school their children - close to home. In the Upper Highway now, that’s all perfectly possible. The Upper Highway is a very well-established green belt where, sitting way above sea level, the climate is more temperate, and there are a number of conservancies, nature reserves, a gorge, dams…and swathes of horse country. The climate is conducive to nature, so this is heaven for gardeners. From roses to indigenous plantings to towering old trees, the favourite colour of the Upper Highway is green. Nature rules here, but so do outdoor pursuits. 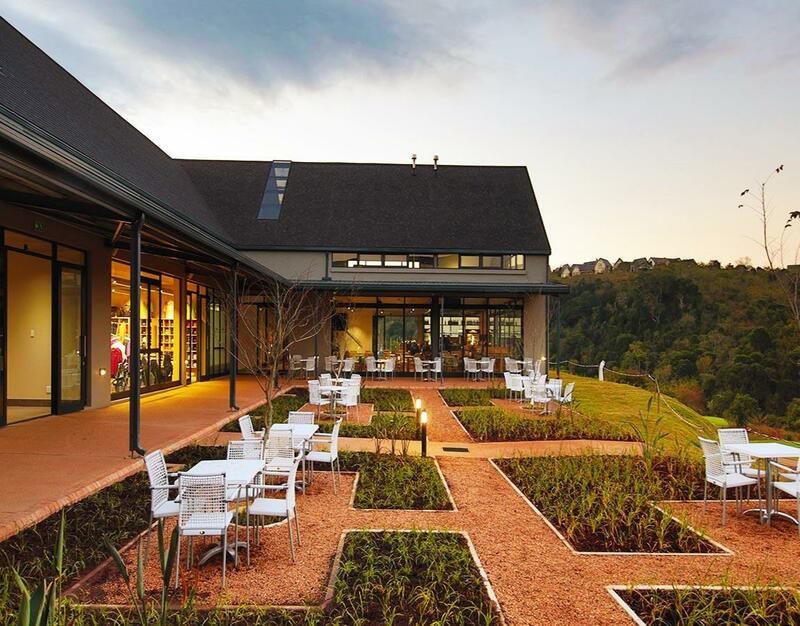 With top golf courses like Kloof Country Club and Cotswold Downs, active mountain-biking and hiking clubs, and horses – from polo fields to equestrian estates – the Upper Highway has whatever you want, wherever you want it. Twenty minutes to the beach. That’s all it takes on a weekend. And during the week, the Upper Highway has straightforward access west to the burgeoning industrial zones of Cato Ridge and Camperdown, as well as the back of port logistics and other related developments; and east towards Durban, to the south and north coast interchanges. For residents in the further reaches of Hillcrest towards Botha’s Hill, the N3 toll road offers easy access in most directions, even Pietermaritzburg. Aside from the numerous private medical facilities which abound throughout the Upper Highway, easy access to Busamed Hillcrest Private Hospital is just one more reason not to travel far from home. Life Westville Hospital is still an easy option, a mere ten minute drive from Kloof. Le Domaine – where they say, life begins at 50 – was one of the first upmarket developments that catered extensively for the older generation, and it’s as popular today as it was then. Previously, like much of Kwazulu-Natal, independent living accommodation was hard to find. Now there’s a number of great options available to those who don’t want to move away from the Upper Highway, and new Greenhaven Estate is proof that great Active Over 50s accommodation can be affordable. With access from both Kloof and Padfield Park, Greenhaven has recently broke ground on a development which is drawing a massive amount of interest from locals in particular, who don’t want to leave familiar surroundings or family, but want to live independently…and affordably. Looking for a place to put down roots, the decision needs to tick a number of boxes. The Upper Highway lifestyle and property value is hard to beat.